In the first period after the war, domestic difficulties fixed the attention of the Italian Government on the present rather than on the future. An insurrection at Palermo assumed threatening proportions owing to the smallness of the garrison, and might have had still more serious consequences but for the courage and presence of mind shown by the Syndic, the young Marquis di Rudini(below). Crime and poverty, republican hankerings, the irritation of the priesthood at recent legislation, and most of all, the feeling that little had been done since 1860 to realise the millennium then promised, contributed to the outbreak which was quelled when troops arrived from the mainland, but the ministers were blamed for not having taken better precautions against its occurrence. Another stumbling-block lay in the path of government leader Ricasoli, namely, the application of the law for the suppression of religious houses, and the expropriation of ecclesiastical property. 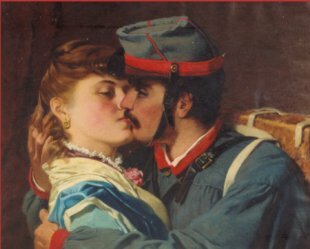 An Italian volunteer for the front kisses goodbye. Not Boldini!!!!! After an unsuccessful endeavour to cope with it, he dissolved the Chamber, but the new Parliament proved no more willing to support his measures, which were of the nature of a compromise, than the old one, and he finally resigned office. He was succeeded by Urban Rattazzi, under whose administration a measure was passed which, though drastic in appearance, has not prevented the re-establishment of a great many convents of which the property was bought in under the name of private individuals. Every Catholic country has seen the necessity sooner or later of putting a check to the increase of monasticism, but it may be a matter of regret that in Italy, the toleration granted to the learned community of Monte Cassino was not extended to more of the historic monasteries. The abstention of the Clerical party from the voting urns deprived them of an influence which, on such points as these, they might have exercised legitimately and perhaps beneficially. To that abstention, the disequilibrium of Italian political life, from first to last, is largely due. 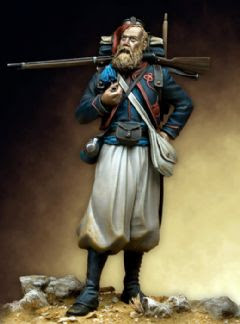 vatican zouave .Some said they were religous zealots who banded together to save a dying idea on society ,not that of God. 's love but that of the Vatican's wealth and power.Others that they were saving a holy institution that meant something holy. While executing their engagement, the French Government took occasion to say that they kept their hands perfectly free as concerned future action. The anomalous obligations of the September Convention now came into force, and it was not long before their inconvenience was felt. Had Ricasoli remained at the head of affairs the status quo might have lasted for a time; because, although he was an unflinching opponent of the Temporal Power, he would have made it clear that since the Convention existed he meant to respect it, and to make others respect it. He had shown that he could dare, but that was when he bore himself the whole responsibility of his daring. He was not the man to tolerate heroic imprudence in others with the mental reservation of owning or disowning the results, as might prove convenient. Rattazzi, on the other hand, was believed to answer very closely to this description; and patriots who were willing to bear all the blame in case of failure and yield all the praise in case of success, began once more to speculate on the profit to the national cause which might be extracted from the peculiarities of his character. Aspromonte, that should have placed them on their guard, had the contrary effect, for it was supposed that the Prime Minister was very anxious to wipe that stain from his reputation. 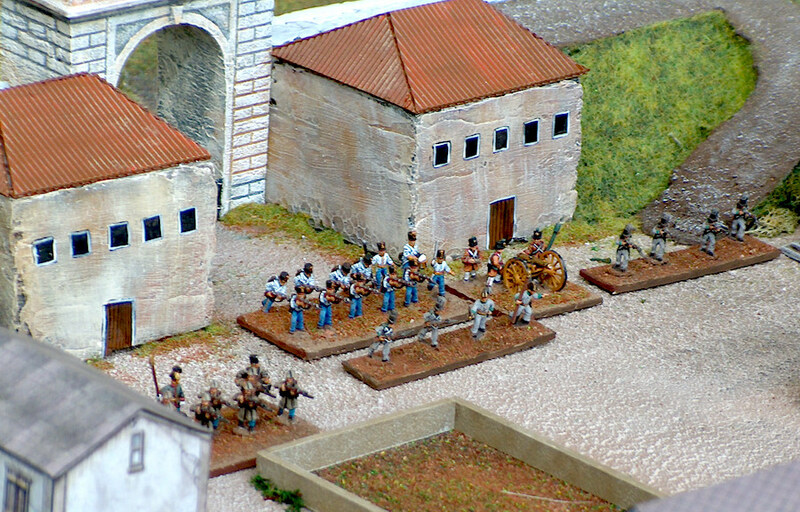 recent wargames convention in Verona;here we see an Austrian position . Nevertheless, the Party of Action considered that, for the present, the wisest course was to wait and watch the development of events. This was Mazzini's personal view, but Garibaldi, almost alone in his dissent, did not share it. Impelled partly, no doubt, by the impatience of a man who sees the years going by and his own life ebbing away without the realisation of its dearest dream, but partly also by the deliberate belief that the political situation offered some favourable features which might not soon be repeated, Garibaldi decided to take the field in the autumn of 1867. 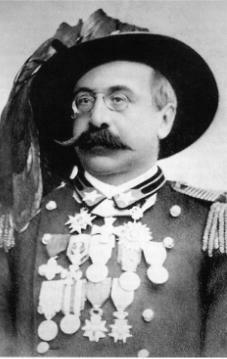 In Rattazzi's own version and defence of his policy, it is set forth that before the die was cast he did all that was humanly possible to prevent the expedition, but that having failed, he intended sending the Italian army over the frontier in the wake of the broken-loose condottiere. Though this gives a colour of consistency to his conduct, it is not satisfactory as an explanation, and still less as an apology. 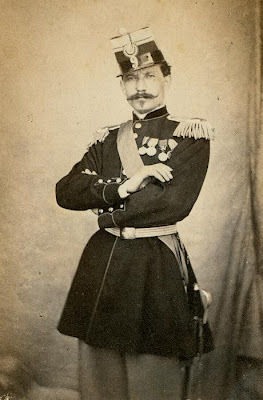 General La Marmora, who had always opposed the Convention, though he belonged to the party which made it, once declared that 200,000 men would not be sufficient to hold the Papal frontier against a guerilla invasion. True as this may be, it is impossible to resist the conclusion that a minister who had resolutely made up his mind to prevent any attempt from being made would not have acted as Rattazzi acted. The Prime Minister thought that he was imitating Cavour, but in reality he simply imitated the pendulum of a clock. Rattazzi's taste was for intrigue rather than for adventure in the grand sense. An adventurous minister would have accelerated the enterprise to the utmost, in secret or not in secret, and would then have preceded Garibaldi to Rome before the Clerical party in France had time to force Napoleon to act. The rest could have been left to the Roman people. What they did in 1870 they would have done in 1867; they were ready to acclaim any conquering liberator; they were not ready to make a revolution on their own account, and with all their leaders in prison or in exile, they are hardly to be blamed for it. For such a policy Italy might have pleaded that necessity which knows no law. Everybody allowed that if Garibaldi went to Rome the Italians must go there too: the very security of the Pope demanded it—at least, he said so. As to the first part of the programme, complicity in the preparation of the movement, it would have been an infringement of the Convention, but had France kept the Convention? 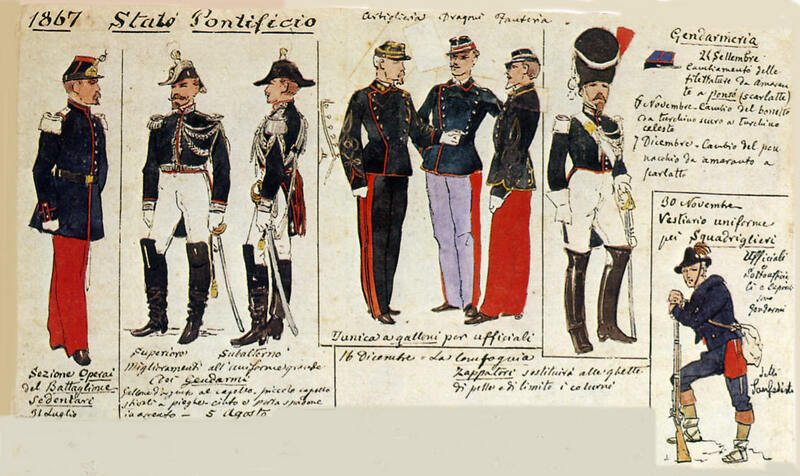 French bishops recruited soldiers for the Pope in every province of France, and the Antibes Legion was drawn, officers and men, from the French army. When some of the men deserted, the French War Office sent General Dumont to Rome to look to the discipline of the regiment. Those who argued that the spirit, if not the letter, of the agreement had been already evaded, could make out a good case for their position. It has been suggested that this is what Rattazzi's policy would have been, but for the opposition of the King. Were it so, the minister ought to have resigned at the beginning of the proceedings instead of at the end. That in the ultimate crisis it was the King who prevented the troops from moving is a fact, but the propitious moment was then past and gone. 'Do as you like, but do it quickly,' Napoleon said to Cavour when Cialdini was to be sent to the Cattolica. And it was done quickly. After letting Garibaldi make what arrangements and issue what manifestoes he chose for six weeks, Rattazzi suddenly had him arrested at Sinalunga on the 23rd of September. The only consequence was fatal delay; not knowing what to do with their prisoner, the Government shipped him to Caprera. Personally he was perfectly free; no conditions were imposed; but nine men-of-war were despatched to the island to sweep the seas of erratic heroes. In spite of which, Garibaldi escaped in a canoe on the 14th of October. That night, between sundown and moonrise, there was only one hour's dark, but it sufficed the fugitive to make good his passage from Caprera to the island of Maddalena. A strong south-east breeze was blowing; the waves, however, were rather favourable to the venture, as they hid the frail bark from any eyes that might be peering through the night. Garibaldi did not fear; he had often put out on this terrible sea when lashed to fury to succour sailors in their peril. On reaching Maddalena he scrambled over the rocks to the house of an English lady who was delighted to give him hospitality. Next evening he proceeded to Sardinia, from which, after several adventures, he sailed for the Tuscan coast in a boat held in readiness by his son-in-law, Canzio. And so, to the amazement of friends and foes, he arrived in Florence, where, before many hours were past, he was haranguing the enthusiastic crowd from a balcony. Garibaldi had escaped, but the mischief done to the movement by the loss of nearly a month could not be remedied. 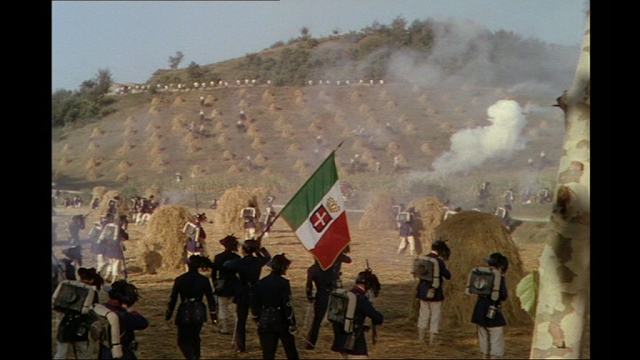 Although large armed bands under Acerbi, Nicotera and Menotti Garibaldi were gathered near Viterbo, as usually happened in the absence of the chief, nothing effectual was done. But it was in Paris that the delay brought the most ruinous results. With the outbreak of the Franco-Prussian War in the summer of 1870 and the fall of Napoleon III (captured at the Battle of Sedan and deposed in favor of the Third Republic soon after), the remaining French presence in Rome was withdrawn. An Italian army of 75,000 crosssed the border on September 11th. The Papal army, vastly outnumbered, valiantly defended every town that remained to the Pope, taking many casualties but inflicting many more on the ruthless invaders. Nonetheless, after a slow march in vain hope that Pius might bow under revolutionary pressure, the Italians reached the walls of Rome on September 19th. On the 21st, the day after the bulk of Rome had fallen, the Leonine City was occupied and the white and yellow banner of the Pope was lowered from battlements of Castel Sant' Angelo. 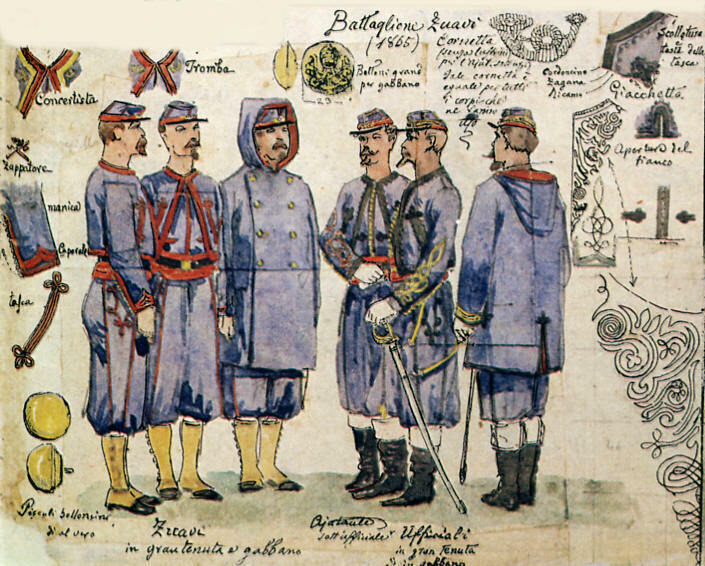 The Papal army was disbanded; the loyal Zouaves deported (though many would go on to fight for France in the Franco-Prussian War); and Pius IX retreated into the Vatican, where he and his successors would remain in their self-imposed imprisonment until the Lateran Accords of 1929. The fall of the Papal States marked a great milestone in the revolution against Christian civilization. The temporal power of the Church had been ground beneath the heel of secularism and modernism. From that point on the Papacy, stripped of much of it's influence in political affairs, began to seek reconciliation with the new social climate and the emerging secular states, and to find a place within the revolution rather then against it.